"Home is where the heart is” is a commonly coined term that we couldn’t agree more with. Not only should your home embody rest, love, and reconnection, but it should serve as a reflection of who you are and your taste. We’ve mentioned before that colour is a great way to diversify the aesthetic in your home, but according to Dulux colour expert, Andrea Lucena-Orr, it’s also a way to segment the rooms of your home into clearly defined purposes. “Colour is so important in your home as it personalises your space and makes your home truly yours. Lucena-Orr also believes that as autumn rolls around we will be seeing more warm, earthy tones, "Natural earthy colours and textures will be coming to the fore and there will be ever more appreciates for the splendour of imperfection." And truth be told, we can’t wait to take this grounded approach into our interior styling. So, to help us on our quest to ditch minimalism, and really explore and take risks with our tastes we asked Lucena-Orr for expert tips on incorporating this versatile colour palette into our spaces. Read on for some inspiring ideas. For those wanting to ditch the minimalist trend, how can they bring these colours into their home, without it being too risky? An easy way to slowly ease into it is by adding colour in the master bedroom. This space is a personal one, so it's low risk to add a colour you've always wanted. It can also be as simple as adding a front door colour to start your journey. Move from the front door into the entry and add a welcoming colour, then the hallway and spaces beyond. Do you think these new colour offerings will be trending in the cooler months? The autumn palette is a gorgeous display of colour. All of these colours are very versatile and welcoming and are very earth-inspired shades from nature. 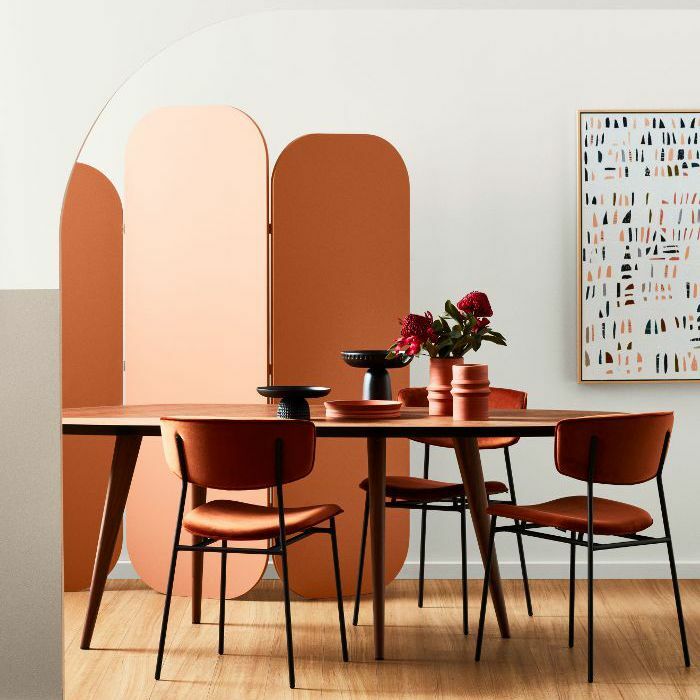 They can easily transpire into a nurturing feel for those cooler months, especially with the warmer hues such as Dulux Very Terracotta, Sassy and Maiko.